This photograph, taken in 2004, shows the entrance to the Hebden Horse Level, just to the right of the mine building on top of Smithy Hill. The 'hill' consists of spoil extracted from the level. 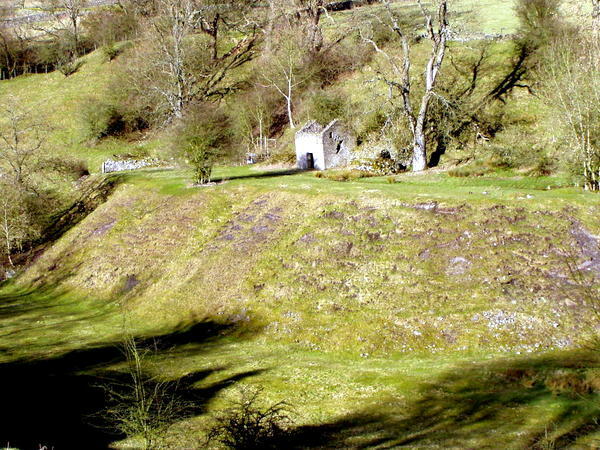 The wall on the left of the hill was the storage pond, and the waterwheel was in the trees at the bottom of the hill. Click the image to see a larger version.